Pennsylvania Highlands Community College recognizes the sacrifice of those who have served in the United States Armed Forces. If you are a veteran, service member, survivor, or dependent of a veteran, you may be eligible for veterans’ educational benefits to help you achieve your educational goals! 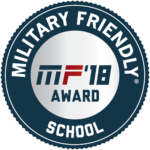 For information about using military educational benefits at Pennsylvania Highlands, contact our Veteran Certifying Official, Mary Hattaway, Assistant Director of Student Financial Services, at 814.262.6435 or mhatt@pennhighlands.edu. You can also log on to the U.S. Department of Veteran Affairs website by clicking here for additional information about educational benefits.